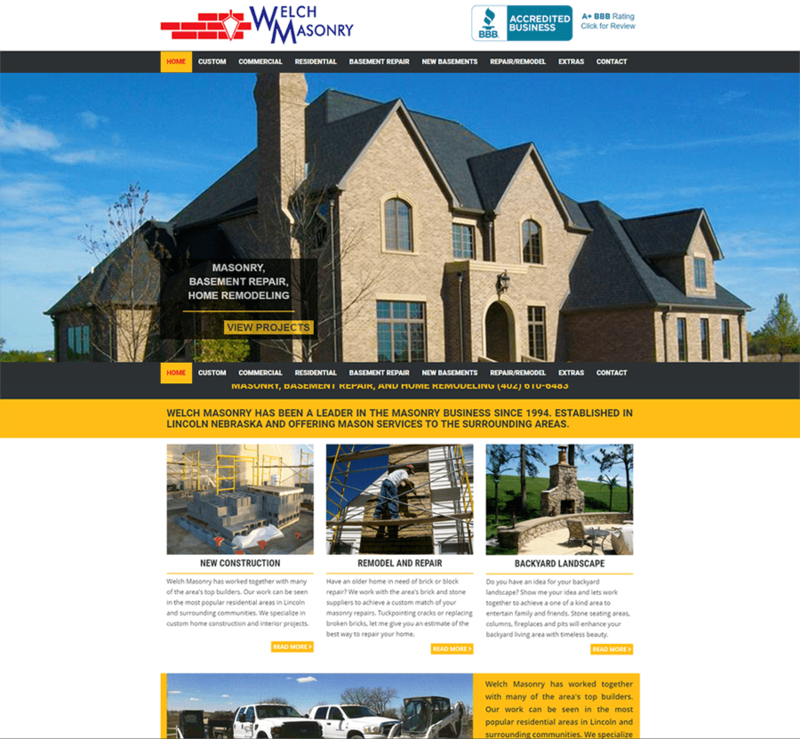 Welch Masonry needed a simple web presence to explain and display a seemingly complex process. They had a basic site that was in need of re-branding. Working with Welch Masonry we were able to design and develop a completely custom WordPress website. The result is a custom web presence that informs, educates, and displays a beautiful portfolio of their work. The newly designed and developed website has a custom look and uses WordPress as the Content Management System. This gives the client complete control over the content. The site is also responsive making it user-friendly on tablet and mobile devices and optimized for SEO. As the company grows, the site will grow with it, adding new content and functionality. I just wanted to tell you of another great experience I had at your Lincoln location. My computer nearly died, so we went to Lincoln. Gene took it in and advised me of Costs to repair, but I thought it was better to get another computer. …Peace of Mind I Can’t Buy Online!! Want to thank you guys for your patient, efficient, and quick solution to setting up the Set Point function properly since the new System drive installed. You did it by Remote and solved in a few minutes, and answered my questions.